In winter, when it's cold and dark I really love to eat cabbage based recipes. 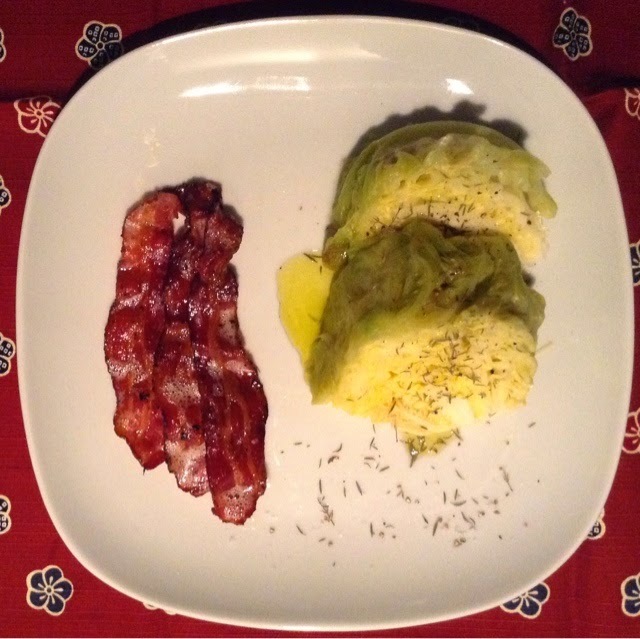 One of my favorite yet simplest is steamed cabbage. Basically I steam a whole cabbage so that the inside is still a little crunchy while the outside melts in the mouth. I usually accomodate it with only a fruity olive oil, thyme from Aix garden and salt. Today on the plate I've added a few slices of crunchy grilled bacon, but it's optional.